Over the past two centuries, it has become a tradition for brides to wear white or ivory gowns on their wedding day, but this was only after Queen Victoria wore cream lace at her nuptials in 1840. Before then, it was quite acceptable for brides to wear any colour or style dress at their wedding. 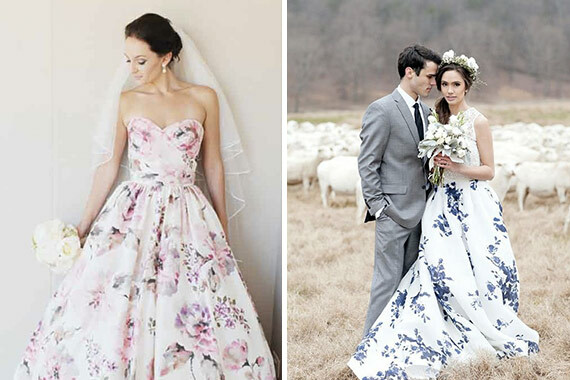 Knowing this, the modern bride can choose to wear whatever suits her personality and unique style! Bring in subtle bursts of colour in your pristine white gown or go all out with a non-traditional wedding dress that will make heads turn! Have a look at our inspiration board to get a few ideas. 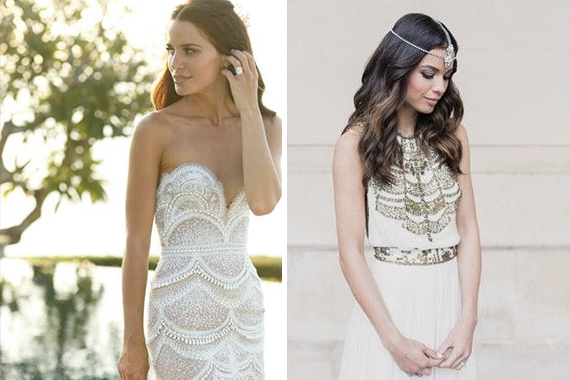 Great ideas for brides who want to look different on their big day. Very good photos. Wow! 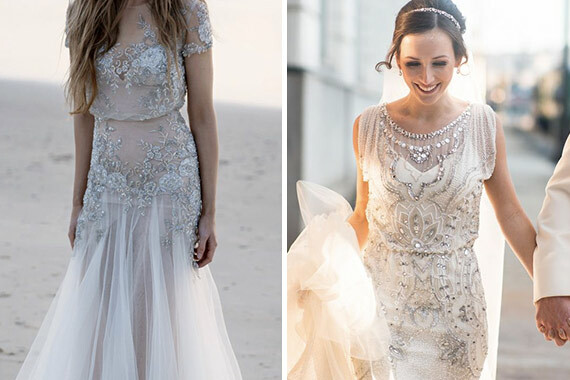 These are amazing wedding dresses for brides who want to look different. Thanks for posting. Stunning pictures. 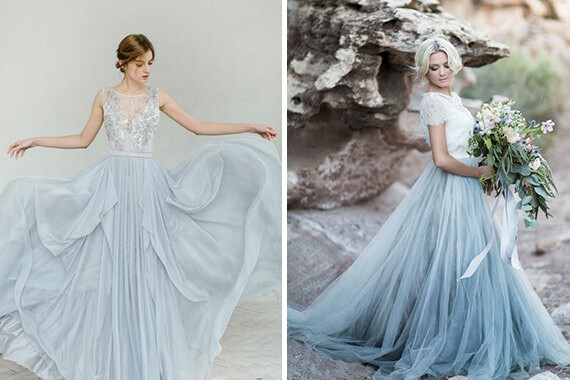 These days, many more brides are going for non-traditional wedding dresses and colors. It’s a growing trend. Thanks for sharing these beautiful photos. I am trying hard to find the best wedding dress for my sister. I just find out your website and this article was really so helpful for me. Many thanks for sharing with us. The article of your website is so nice. I did not found a good wedding dress for my cousin. But I found it in your website. Your website is very helpful. Many thanks for sharing with us the fantastic article. I am a newbie here, just open my non-traditional bridal dress shop last month. I enjoy reading this wedding blog. Yes, for the custom dress, precise measurements help dressmaker to create a properly fitted dress, follow the guide on how to measure, best is to have someone help you measure. Talk to your dressmaker if you need help. Custom made or ready-made dresses sometimes still need some alterations here or there to get the perfect fit. Thank you for your article. I am getting married next year and I went to 3 of your recommended French designer Bride & Groom Gift Exchange . The first day, I went to Fabienne Alagama – nice boutique but unfortunately not many recommendations/emotions from the sales assistance. Wow, It’s really a fantastic blog about the wedding. I just got a lot of information about the non-traditional wedding dress. Color is so refreshing! While there is nothing wrong with a classic ivory, colors that pop just look amazing! I am really in love with blush right now. Accessorized with rose gold it’s divine! This a really fantastic blog about best wedding dresses . That is a very very very nice dress. The gowns are gorgeous! Each distinct from the other! 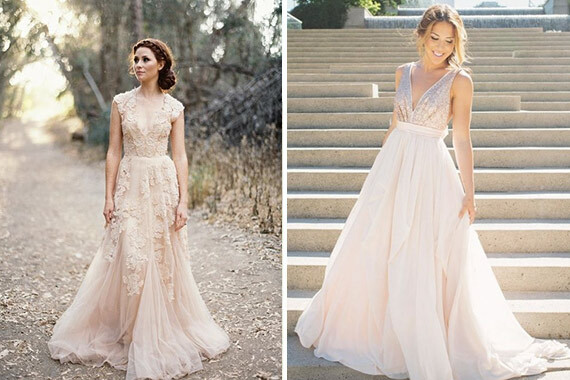 Thanks for this article, my friend is getting married next month a this wonderful location, overview and she is has been looking for her wedding gown for quite some time now, I will definitely show her these pieces and I am sure she will like it. Thank you so much for sharing! Everything was absolutely beautiful (I just bought the same drink stirrers for my upcoming wedding in October). What did you do for wedding favors? I am having the hardest time coming up with something! Just a fantastic blog about wedding dresses. 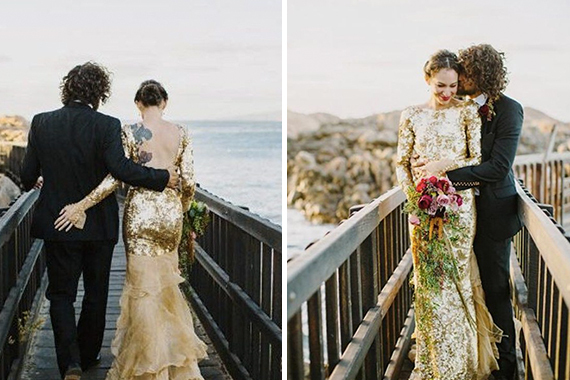 What a fantastic blog about the traditional wedding dress. Many many thanks for sharing with us.